Partnering with SAP SuccessFactors CRM, DaXtra is able to offer state-of-the-art recruitment resume searching, parsing and matching capabilities. DaXtra products in combination with SuccessFactors CRM can increase your competitive advantage with powerful and intelligent resourcing tools and our fully automated workflow solutions. DaXtra Search is proficient at aggregating searches and integrating with your SuccessFactors CRM. It quickly finds the most relevant candidates using natural language and semantic search technology — aggregating across multiple in-house and online talent communities without ever leaving your SuccessFactors CRM. DaXtra Capture uses A.I. and machine learning to act as your company’s robotic administrator — automatically loading candidate data from multiple sources and anonymizing and rebranding resumes, increasing the quality and quantity of your data by making it quicker and easier to populate. DaXtra Magnet allows you to browse online job boards, social networks or individual web pages and cross-matches relevant profiles to the information in your SuccessFactors CRM. DaXtra Styler automatically applies branding and styling to resumes. An add-on to DaXtra Capture, DaXtra Styler automates production of formatted CVs and resumes. 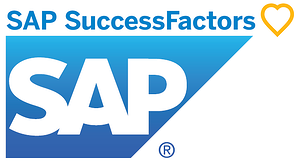 SAP SuccessFactors is a global provider of cloud-based human capital management (HCM) software. Their human capital management application suite integrates onboarding, social business and collaboration tools, a learning management system (LMS), performance management, recruiting software, applicant tracking software, succession planning, talent management, and HR analytics to deliver business strategy alignment, team execution, and maximum people performance to organizations of all sizes across more than 60 industries.